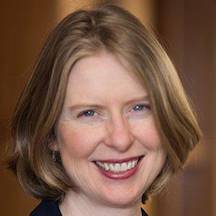 Karen L. “Kerry” Abrams, an authority on immigration law and family law, has been chosen as the next dean of Duke Law School in Durham, North Carolina. She will take office on July 1. Professor Abrams is the vice provost for faculty affairs and professor of law at the University of Virginia. She joined the faculty there in 2005. From 2002, to 2005, Professor Abrams taught at the New York University School of Law. Professor Abrams is a graduate of Swarthmore College in Pennsylvania, where she majored in English literature. She earned a juris doctorate at Stanford Law School and then served as a clerk in the U.S. District Court for Eastern Louisiana.